Ah, a truly civilized test of true beardliness. Most gentlemen have a similar thing, only with moustaches. Beard wrestling?! I like this comic already. Time for more. 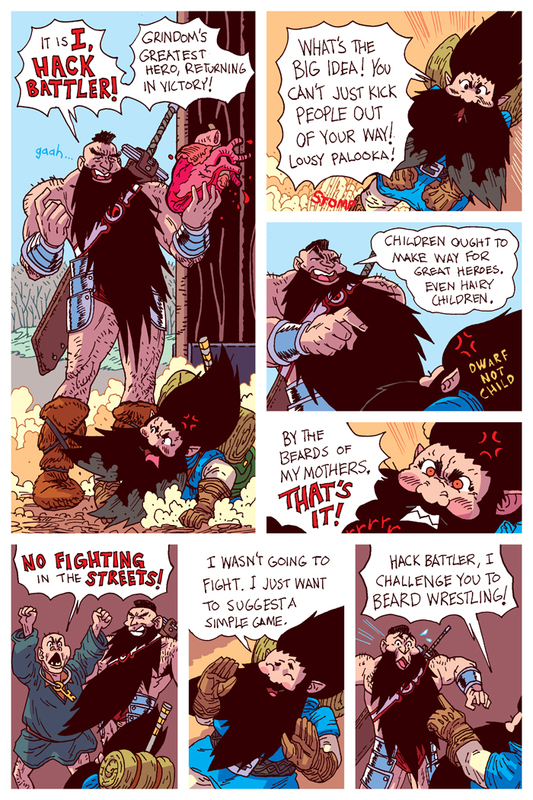 Never, ever, beard wrestle a dwarf!